Fighting corruption is a global concern because corruption is found in both rich and poor countries, and evidence shows that it hurts poor people disproportionately. It contributes to instability, poverty and is a dominant factor driving fragile countries towards state failure. Governments, the private sector, non-governmental organizations, the media and citizens around the world are joining forces to fight this crime. The joint international campaign focuses on corruption as one of the biggest impediments to achieving the Sustainable Development Goals (SDGs). 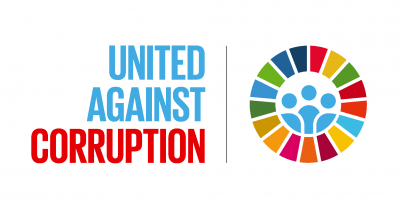 To mark the International Anti-Corruption Day (IACD), UNODC has developed a wide-ranging campaign: #UnitedAgainstCorruption, focused on different SDGs and on how tackling corruption is vital to achieving them. Find out how you can support the global campaign here. IDLO is working to promote good governance, fairness and equality through the rule of law. While corruption negates the benefits of development, strengthening the capacity and integrity of institutions promotes economic prosperity and increases citizen’s confidence in public administration, justice and the rule of law. Through its programs, IDLO is working to combat all forms of corruption by making justice institutions cleaner and more responsive, reducing conflicts of interest in procurement and public life, and enhancing the capacity of institutions and justice actors to fight fraud and economic crime.